Just received the December edition of Rentguard insurance News. 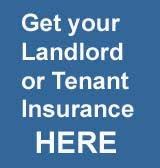 Rentguard are the company who offer a great selection of property insurance products - Non Standard Property Insurance for those working or trading from home and in some cases, those with previous claims histories, histories of CCJs, bankruptcy and even criminal convictions. The latest news reports that Rentguard are currently offering extremely competitive rates on purpose built flats. These policies can be quoted in-house without referral (up to a value of £2.5million) and can cover studios, apartments and whole blocks against all the standard perils. Rentguard Insurance can provide instant quotations on individual or block policies to your customer for a wide range of let properties. This includes flats with wooden or concrete floors, 100% flat roofs and those let to people of independent means, students, asylum seekers, those receiving housing benefit and more. In addition to this, they also offer cover on HMOs and bedsits. On a seasonal note Rentguard Insurance have produced a 2014 calendar in aid of the Stroke Unit at West Middlesex University Hospital (WMUH). The calendar includes classic, stylish photos of the Rentguard team, with all proceeds going towards improving facilities at the hospital. The staff at WMUH dedicate so much time and effort to provide the best support they can to help patients and their families, often through difficult and testing times. As a company based nearby in Isleworth,Middlesex, Rentguard Insurance hope to do something positive to help them and the local community. “By purchasing the calendar, you will be helping Rentguard Insurance give the hospital a helping hand,” says Rentguard Customer Service Agent Dayna Woodcock, who has been the driving force behind the calendar. The money raised will go directly towards funding foot stools, feeding pumps, drip stands, two manual blood pressure monitors and eating aids for use in the unit. The RLA and FLS have both very kindly donated £250 towards the cause. Can you match it? Or perhaps do even better?